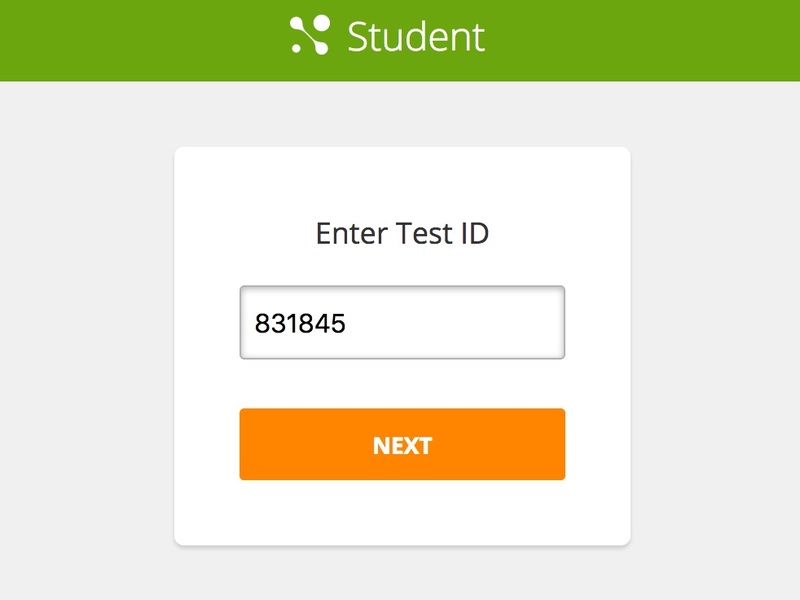 Give your students the Test ID number. To find the Test ID number, go to your tracker, hover over the standard that the assessment is in, and then click on Assess. Click on the button above the title bar to see the Assessment ID. 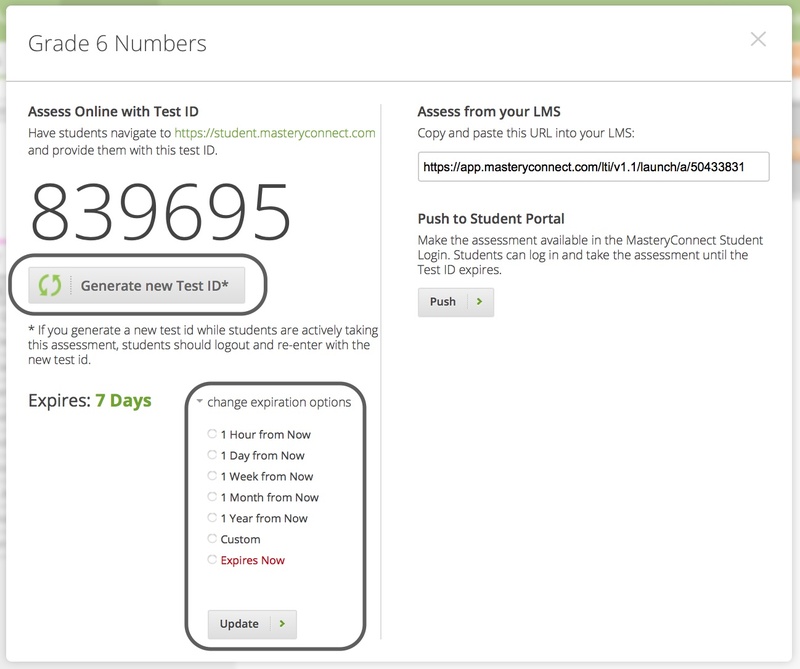 You can change the Test ID to limit student access to the assessment by clicking Generate new Test ID. You can also change the amount of time before the ID expires. Make sure that your students know their Student ID number. Student ID numbers can be found next to students' names on your trackers. Students can take the assessment in a single sitting, or they can use the pause button to save their progress and come back to it later. Answers will be automatically saved every few seconds. 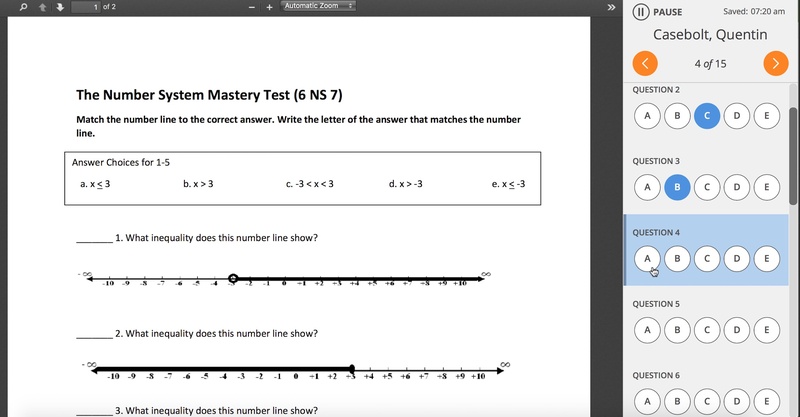 Note: Both uploaded and item bank assessments can be taken using the Mastery Connect Student App. After your students are finished, they will click on Finished and then they will be asked to confirm whether or not they are ready to submit their answers. Scores are automatically entered into your tracker. Note: After the test answers are submitted, a student can not go back and change them, and you will not be able to reset the test for them. Please make sure that they are aware of this so that they do not accidentally submit the assessment before they have completed all questions on the test.